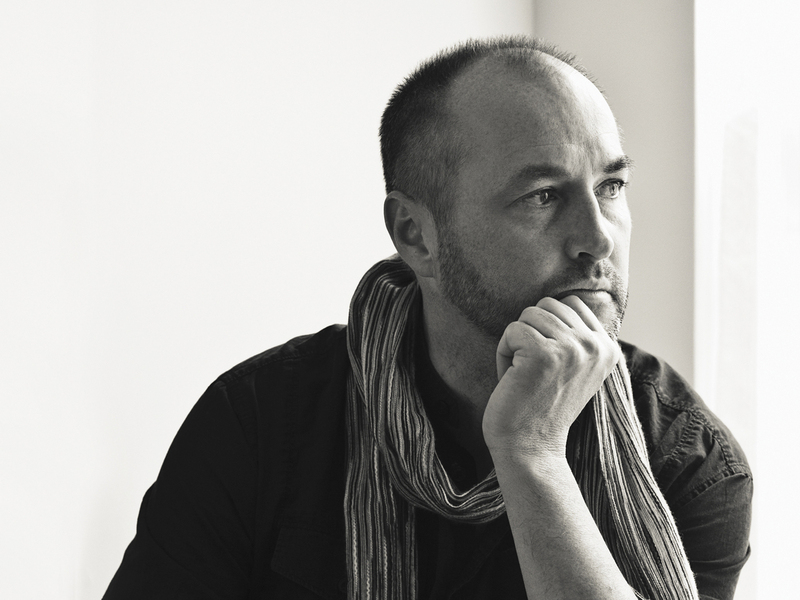 Exclusive First Read: 'TransAtlantic' By Colum McCann Read an exclusive excerpt of Colum McCann's new novel, TransAtlantic. It's a series of braided stories about the deep and complex ties between America and Ireland, centering on Dubliner Lily Duggan, who emigrates in search of a better life. 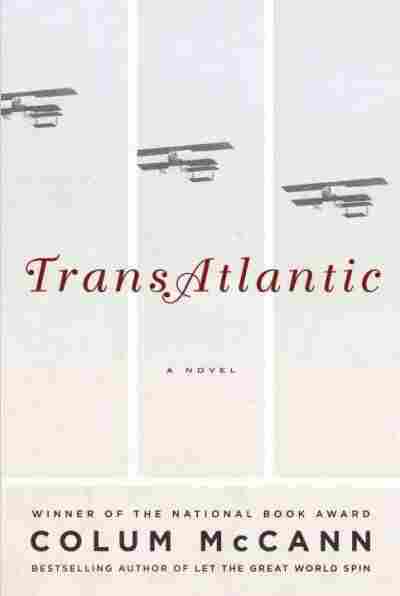 Like his 2009 National Book Award-winning novel, Let the Great World Spin, Colum McCann's TransAtlantic is a braided novel that weaves together the stories of various characters — some historical, others invented. The storylines illustrate the deep and complex connections tying Ireland and the U.S. over a span of some 150 years, beginning with Frederick Douglass, who visits Ireland in 1845 to drum up abolitionist support, and ending with Sen. George Mitchell, who negotiates the Good Friday peace accord for President Bill Clinton. One of the novel's central characters is Lily Duggan, a Dublin maid who emigrates to America after encountering Douglass in the home of her Quaker employers. This exclusive excerpt depicts the life Lily and her American husband, Jon Ehrlich, build in an isolated spot, "farming" a lake for ice. TransAtlantic will be published June 4. AS SOON AS the cold came, the lake began to freeze. Jon Ehrlich rose and dressed in the faint warmth from the stove and went quietly out from the cabin and tested it every day. When the ice was four inches deep it was capable of holding a man. He walked from one side of the lake to the other, staying close to the shore at first. Lily watched him diminish in the distance, tall and thin, the limp growing smaller. A fierce wind blew across the bankside snow, kicked small eddies into the air. The trees made a dark run into the flat distance. He brought his oldest sons out to join him. Father and sons turned and turned, testing the strength of the ice. Falconing, he called it. They circled closer to the center of the lake. Each time they reached the end of a spiral, Jon Ehrlich raised his boot and stamped to check the thickness. Lily watched the two older boys, Adam and Benjamin, do the same thing. The clean thud of their boots broke the silence. She thought they might disappear under at any time, that the lake would take them and ice over, swallow their scarves, their hats, their face wrappings. But they circled inwards, meticulous in their patterns. They knew the depth of the ice by the sound of their boots. They went out the next morning to begin sinking the lake. Jon Ehrlich used a long thin auger to bore the holes. Steel with a sharp point. When he turned the handle, it looked to Lily as though he were churning butter. Small sparks of ice rose from the surface. He went across the lake with the boys, sinking hole after hole in the ice, three feet apart. They made a checkerboard of the lake. They stood over each hole and inserted a thin stick to make sure the drill had gone all the way through. The water gurgled up and spread. Layer upon layer. The spill from each drill hole met its neighbor, a spreading sheet of freeze. As the days wore on, they followed their own footsteps back across the lake and rebroke the mouth of ice on each of the holes. The water rose again. Lily brought them lunch on the lake: hunks of bread and ham, bottles of milk corked with toweling and string. Jon Ehrlich drank and drew his sleeve across his mouth. Adam and Benjamin watched their father and did the same. Soon Lawrence, Nathaniel, and Tomas joined them on the lake. They came inside to the cabin where Lily had built up the fire. Jon Ehrlich washed in the basin, then sat down by the light of a lantern. A man of two lives. He slipped on his spectacles, and read aloud from the Book. Late in the evening, he and Lily walked out together to see how much the ice had deepened. They wore no skates. They did not want to score the ice although Jon Ehrlich knew they would be planing it later on. They rebored the ice and it deepened, day after day, season after season. When it snowed the process was quicker, and there ere nights when the ice could deepen by a full three inches. Colum McCann won the National Book Award in 2009 for Let the Great World Spin. The dark of their figures moved over the enormous white. When the lake was thick enough, they drew a heavy wooden frame behind them. The frame was shod with a sleeve of steel. The snow built up and collected in furrows. Row upon row of them appeared on the western edge of the lake. They looked to Lily like so many white eyebrows. When the snow was cleared, Jon Ehrlich and his sons planed the ice down. They measured out large squares, each the size of a half door. They cut into the lake with an ice plow. The blades were set in grooves and the plow was drawn by the draft horse. Particles of ice shot up in the air. When the lake was deeply scored, they bent into the work of sawing along the plowed lines. The best ice was the color of crystal. Hard and pure. THE FLOORS OF the storage sheds were covered with tanbark. No windows. Double-walled. The spaces between the inner and outer walls were filled with sawdust to insulate what lay inside. The ice cakes were packed high and so close together that they could hardly slide a blade between them. It was to Lily one of the great mysteries: how the ice could hold out against the weather, even through the spring. The cold fell. They farmed the lake. After a while even the youngest, Emily, went out to help them lift the cubes. They used long-handled hooks to slide the cakes across the lake towards the draft horse waiting, patient for its chores. One quick flick of the wrist could send the cake of ice spinning twenty yards across the lake. Lily liked to watch Emily guide the cakes across the surface, the elaborate motions the young girl made with the cubes. WHEN THE TRIBUTARIES thawed, they floated the ice all the way to St. Louis on a barge that complained under the weight. The cakes were packed in crates and covered in straw to keep from melting. Elk bugled along the riverbanks. Peregrines soared in the blueness overhead. Jon Ehrlich guided the barge past the sandbanks into port and packed the wares in an underground cellar along the riverfront. An ice dealer from Carondelet Avenue came and inspected the work. Crisp bills were counted out. It was good business. It was as if Reconstruction itself knew how to make things work. Hotels. Restaurants. Oyster shops. Rich men in fancy homes. Even sculptors who wanted to carve from giant ice blocks. He bought a new lease on a small upstate lake. Experimented with new methods of insulation. Developed a toboggan system. Floated the cakes along a series of intricate canals. He drew up plans for a series of levers and pulleys for the storage sheds. There was a call to float ice down the Mississippi to cities as far away as New Orleans. They built a new house on the far side of their lake, open to morning sunlight. A smokehouse, too. Hanging from hooks were sides of bacon and cured ham. Medicinal plants: spikenard, snakeroot, senna, anise. Bins filled with sweet potatoes. Deep barrels of butter. Apple jelly. Peaches in preserve. Lily had never seen such stores of food. She moved among the full shelves in a daze. On Sundays they loaded their horse cart with spare provisions and drove them to church, early, so that they could be distributed quietly amongst others. Jon Ehrlich guided the reins down gently on the backs of the horses. His breathing was labored. Age was beginning to catch him. As if his body had taken on some aspect of the ice. Still, he unloaded the stores of food. Lily felt little call for the church, except as a moment away from her chores, but it gladdened her to give food away. She had seen worse hunger before, long ago. She did not care to see it again. Irish and German and Norwegian families lined up at the back door. An air of hammered pride about them, as if they would not need it long. Jon Ehrlich came home one mild evening in the spring of 1876 and parked the horses down by the storage sheds. It had been a long journey. A week on the road. He came up through the newly cobbled yard, carrying a large canvas in an ornate frame. He called her name. She did not respond. He walked in the door and kicked off his boots, called her name again. She came from the kitchen at the back of the house. Shuffling her slippers on the floor. —What in the name of God is the commotion? He held the painting up for her to see. She thought at first it was a box of some sort. She stepped closer. She glanced at Jon Ehrlich, then at the box once more. A riverside in Ireland. An arched bridge. A row of overhanging trees. A distant cottage. Lily did not know what to say. She reached out and touched the framed edge of the painting. Looking into it was like looking out another window. Clouds. Fast water. Geese gunneling through the sky. —I bought it in St. Louis. —It 's your country, he said. He had bought it, he said, from an artist who was reputed to be famous. They had told him so at the marketplace. —Your own people, he said. Lily stood back from the painting. Her hands shook. She turned away. He watched her walk out the door, towards the lake. The early insects of spring gathered around her. She sat down on the lakeside with her head in her hands. He could not understand it. He placed the painting against the table by the door. Said nothing more about it. He would, he thought, get rid of it tomorrow. Later that night they lay in bed together, with their children, Emily and Tomas, asleep at their feet. She trembled and turned away from him, then swung quickly back towards him. She had been a child of deviants in Dublin, she said. Drunkards. She had never told a soul before. She had tried to forget it. She expected no judgment and wanted no pity. Her father drank. Her mother drank. Sometimes it seemed that the rats drank, the doors drank, the lintels drank, the roof drank, too. She was brought into bed between them, mother and father. A tenement house. The bedboard rattled. She lost a child. Fourteen years old. She had been sent to work as a maid. Hers had been a life of basements, of rat droppings, of inner staircases, of soup ladles. A half-day off a week. Sloshing through the wet dark streets. To buy tobacco. The only relief. No part of Ireland had ever vaguely resembled the canvas Jon Ehrlich had brought home. The country he had brought her was unrecognizable except, perhaps, for one journey she had made from Dublin to Cork long ago. She had walked from a house on Great Brunswick Street. Walked and walked and walked. Fifteen, sixteen, seventeen days, south, through Wicklow, Waterford, over the mountains, across to Cork. She was a simple girl then. That was all. She followed a desire. She still recalled the canopies of trees, the shifting light on the fields, the valleys, the riverbanks, the wind whipping a hard low rain into her eyes, the hunger that grew up out of the land, its rotten odor settling over the men, women, children. Now, a painting. Of all things. A painting. It seemed to say something to her that she had never understood before. A cathedral bell in Dublin sounded out. A horse screamed. Sackville Street. A gull moved over the Liffey. Still, she could not recall the exact sounds of her childhood: they shifted and unshaped in her mind. Why was it that certain moments returned to her? What called them forth? She pressed her face, now, into Jon Ehrlich's chest. She was not sure what to do with such thoughts. She felt sliced open. The Duggan in her— the gone part of her—had never once thought that she could own anything at all, let alone such a painting. Forty-eight years old. She had been in the country now for more than thirty years. She had become American. At what whirling moment had she halted and turned, unbeknownst to herself, the other way? At what time had her life released its meaning? She couldn't locate it. She had been, yes, a simple girl. A maid. In a house of unsimple things. Listening to strange talk. Ideas of democracy, faith, slavery, benevolence, empire. They were things she couldn't quite understand, but they suggested an elsewhere. And so I walked. No idea where I was going. No plan, Jon Ehrlich. I just walked. Look at me now. A painting. You bring me a painting. You place a painting into my arms. She turned her face into his chest once more. He was not sure what to do with the manner in which she wept. She curled against him then, and fell into a hard, deep, exhausted sleep. The painting was put on the mantel above the fireplace. At times she thought she could see Isabel Jennings striding along the riverbank, the long elegant swish of her dress. There was Richard Webb standing on the arched bridge, looking down at the fast water, the splash of current, in all his earnest frustration. There were days, too, when she let her mind drift towards Frederick Douglass: he did not enter the painting much, but hovered outside it, waiting to stride in, perhaps from the distant hill or the road behind the cottage. The recollection of him lifting his barbells in his room startled her. His face in the rain on the day she left. The pale of his palms. She remembered the disappearance of his carriage down Great Brunswick Street and, upstairs, the casual way his towel had been left draped over his washbasin. Hunched over his writing desk in his shirts of billowy white. She had heard that Douglass was aligned now with the party of the late Abraham Lincoln. Making speeches for the proper suffrage for the Negroes. He was a man much admired but reviled, too. They had achieved freedom but at what cost? In Ireland she had thought of him as a gentleman, tall, piercing, commanding, but here he was more of a confusion. It was not that she had anything against the Negroes. Why should she? There was no call for it. They were men and women, too. They starved, they fought, they died, they planted, they reaped, they sowed. Yet there was such an upstirring about them, too. Lily had heard there'd been riots from the Irish in New York. Men strung from lampposts. Children burned in an orphanage. Savage beatings on the streets. Nothing was simple. So many possibilities. The years had shaded her. Lily's own son had fought for the Union. He had died on the battlefield for the very words that Douglass had spoken of in Ireland all those years ago. And yet Thaddeus had never even once mentioned slavery or darkies or freedom. He had just wanted to fight. That was all. The glorious vanity of dying. There were times when she went south to St. Louis, or north all the way to Des Moines, that she saw Negroes on the streets and she felt a dislike moving through her. She stopped herself. Tried to catch her own falling. Still, it was there, distant and hazy. In church she lowered her head and prayed for forgiveness. Old prayers. Remembered incantations. She opened the Bible in front of her. She thought that she should learn how to read, but there was a purity in the silence. She tried to recall the words of Douglass in the drawing room on Great Brunswick Street, but instead, her mind drifted towards those men for whom she had pulled the curtain across: the warmth of blue beneath their eyelids as their flesh moved towards gray. SHE WATCHED EMILY lean into her father, listening. Seven years old, following the rough of his finger across the page. The Book of Job. Revelation. The Book of Daniel. The sight gladdened her. The space by Emily's bed was beginning to fill with books from school. Still, it was odd to watch a child so very different from herself, her own flesh and blood. Often Lily found the young girl asleep with her long hair inserted in the pages, a sort of bookmark. A SHOUT ECHOED outside. Lily thought nothing of it. She moved from the smokehouse back to the kitchen. She unscrewed a jar of cornmeal, sprinkled some on the wooden counter, leaned against the stove. The warmth rolled from it. She closed one of the stove doors with her knee. She reached for a jar of buttermilk. Another shout cracked the air. The shouts had come from down near the storage sheds. She paused. Another series of dull thuds, then a silence. She walked towards the window. The sky a very pale blue. Another sound, hollow and continuous, a groan, a slow surrender. Adam's voice sounding over the snow. Lily ran out. The cold stung her. The snow kicked up at her feet. No shouts came from the sheds anymore. Just a raw quiet. Past the stables and the toboggan shed. Calling their names as she went. At the sheds she could see shards of sawdust caught on the air. She rounded the corner. The planks had splintered. Nails had popped out from the boards. A large iron hinge lay on the ground. A single ice fork was still stuck in the snow bank. A tangle of pulleys lay forlorn on the ground. A small run of blood ran between the cakes of fallen ice and the wooden wall. She went to Benjamin first, then to Adam, across once more to Benjamin. The small of the boy entirely crushed by a single cake. She pushed the weight off his chest, put her cheek to his lips. No breath at all. She wiped the sawdust from his eyebrows. She did the same with Adam. She did not cry out. She could hear the other cakes of ice still moving and slipping above her, but quietly now, as if in reverence. She inched across the fallen planks of wood, and bent over her husband. Jon Ehrlich attempted a nod, but a bubble of blood rose up at his mouth. She pushed the shattered cube off his legs. Don't you go. Don't you dare. He moved his head slightly. His eyes fluttered. Don't you die on me. She was sure she saw him nod and then she heard the rattle of his throat. Lily could feel the fall of his life away from him, some manner of relief, a melting away. She rose from her knees and put her hands to her head and let out a high keen. The storage shed still stood, three-walled. The remaining walls yawed and groaned. The lake within the ice. The water eager for movement. She stepped across the shattered planks and leaned down to Benjamin once more. She put her arms under the shoulders of her youngest son and tried to yank the dead boy out from under the collapse. His boot caught on a piece of beam. She could feel the boot rip as she yanked him from under the rubble. She tugged again. The ice moved. Some laughter rolled from him. She bent down towards him. Some laughter again. Oh. Benjamin. Oh. She grabbed the back of his head but it lolled. She shook him. Get up, get up, you're alive. His eyes were huge and surprised and unmoving. She rose into a crouch, pawed her way across the hard ground. Reached for Adam. She put her face against his lips. No breath. No warmth. More laughter, she was sure of it. But from where, whom? She heard it again, this time from its proper distance. Her chest heaved. From the house. The other children emerging from the cabin. The high play of their voices. Lily rose and rounded the corner of the sheds. She brandished an ice fork. Go back to the house, she said. Put wood on the fire, Nathaniel. Clean up the cornmeal, girl. Don't come out again. I'll be right home with you. I'll be right back. You hear me? Tomas? Lawrence? Now, I said. Sweet Jesus. Now. Please. Emily stared at her. Rooted to the ground. She went back to the work of dragging the bodies from underneath the ruin. The three walls remained. They moved minutely, threatening collapse. Excerpted from TransAtlantic by Colum McCann Copyright 2013 Colum McCann. Excerpted by permission of Random House, a division of Random House, Inc. All rights reserved. No part of this excerpt may be reproduced or reprinted without permission in writing from the publisher.